The optical fiber cabling used for network applications consists of a transparent core surrounded by a cladding material with a lower index of refraction that contains the reflections in the core. Fibers that support many propagation paths are called multi-mode fibers (MMF). Multi-mode fibers are generally a wider core diameter and are used for shorter distance links or high power signals. Fibers that support a single propagation path are called single-mode fibers (SMF). 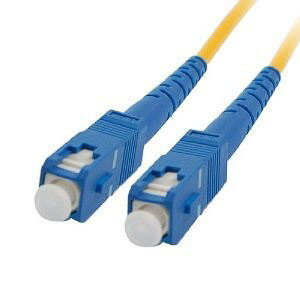 Single-mode fibers are used for longer distance links (more than 1,000 meters). Single mode fiber is used for external long distance applications up to 80km without optical amplifiers. Using state of the art optical amplifiers and dispersion compensation devices the distance can be extended to thousands of kilometers at 10Gbps. 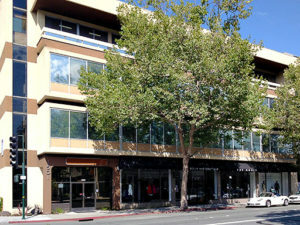 The cable is referred to as OS1 or OS2. 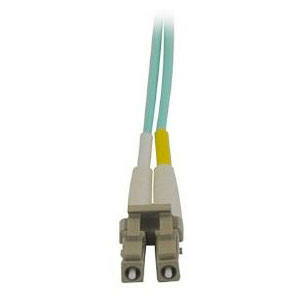 Single mode fiber commonly uses two types of connectors; Subscriber Connector (SC) and Lucent Connector (LC). 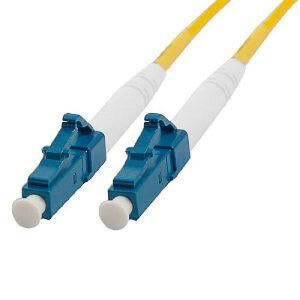 Single mode fiber is commonly yellow but polarization maintaining single mode fiber is blue. This is the most common optical fiber used for short distances within a building or campus. Typical applications support data rates of 10Mbps to 10Gbps over distances of up to 600 meters. Although ST connectors were previously common, SC and LC connectors are now prevalent with OM3 and OM4 multi-mode fiber. OM3 cables are commonly orange or aqua. 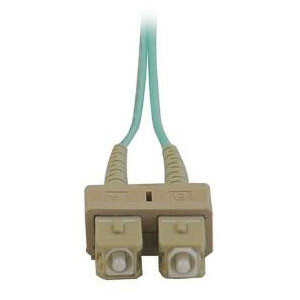 OM4 cables are most commonly aqua.